With all the fun distractions that summer vacation provides, it's difficult for young children to focus on and make time for educational activities during the summer months. Children who don't engage in regular educational activities over the summer stand to lose an average of 2.6 months of academic growth. This loss is referred to as the "Summer Slide". If we as parents don't keep the learning fresh in their minds, children don't retain the knowledge. If we don't keep it exciting, they lose interest all together. At the end of the school year, Harper's first grade teacher gave each child a thick packet of print outs to work on over the summer. She was excited to do them but quickly became bored with the same type of activity day after day. I was desperate to find something that keeps her challenged and entertained. 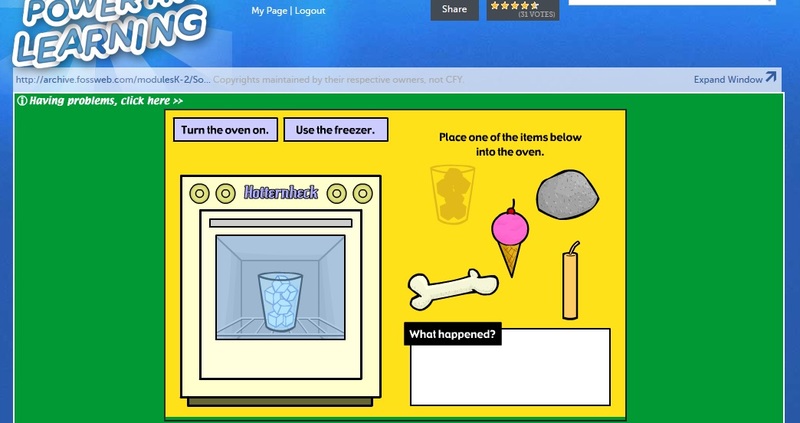 I looked online for educational sites that would keep my child entertained and educated. I finally came across www.powermylearning.org, a site that has a wide range of educational activities for children of all ages. What we loved about Power My Learning is that it has more than just the usual math and language arts subjects. Children can choose from science, social studies, art & music, technology, and world languages. There is a well-rounded curriculum from which to choose, and this means little ones are less likely to become bored easily. When you hover over a subject, you will be able to select the grade level for your child. Once you select the grade level, the appropriate activities by grade level will be presented to you. Since we had an abundance of math and language arts work that was given to us by Harper's 1st grade teacher, we selected Science. There are sub-categories under the main Science category. Harper wanted to learn about Chemistry. So, we selected it. 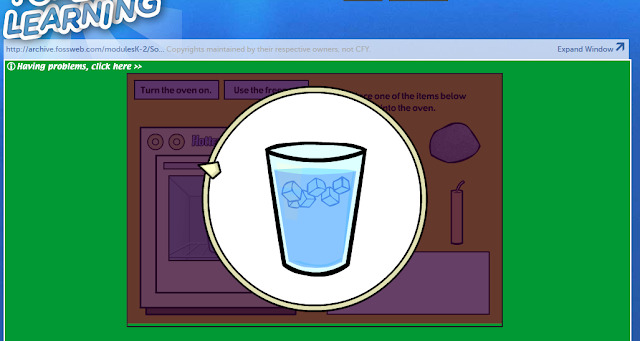 She had the chance to experiment with the microwave and test out what happens when you place objects in the microwave. In went in as a glass of ice. Out came as a glass of water. This is also a fun experiment to replicate in real life. After performing a few microwave experiments, we moved on to studying Health. 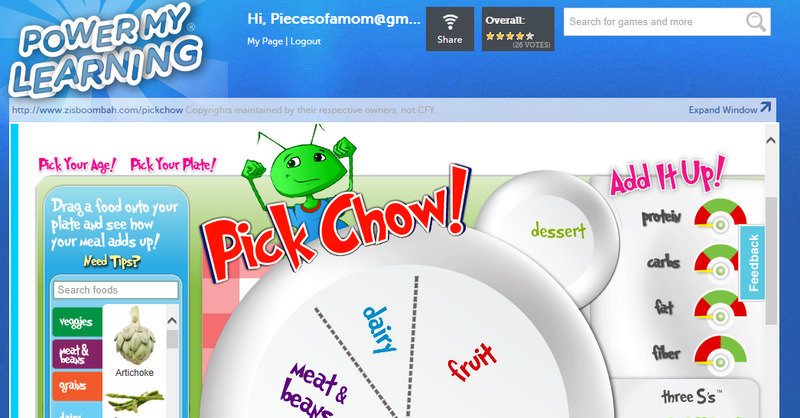 In the Health category, we chose the "Pick Chow" game. I love that this game empowers children to make healthy and smart choices about what they are eating. The purpose of this game is to place items on your plate to create a healthy, well-balanced meal. Harper loved playing this game! It was fun to drag and drop the food items on to the appropriate spot on the plate. After you've created your meal, your meal is rated with an amount of stars based on the food selections you've made. I encouraged her to create the types of meals that we typically eat to see how many stars each was given. We were very surprised to find that one of her favorite meals, black beans and rice scored very low with just 2 stars. 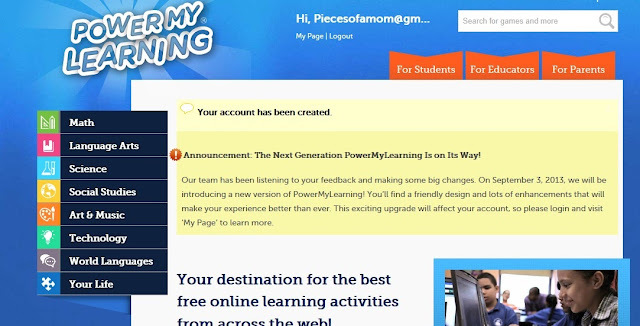 Overall, here are some of my general thoughts on PowerMyLearning.org. I loved the variety of activities. There were plenty to choose from without boredom setting in. The grade level activities were age-appropriate and skill-level appropriate. Provided hours of entertainment for my soon-to-be second grader. 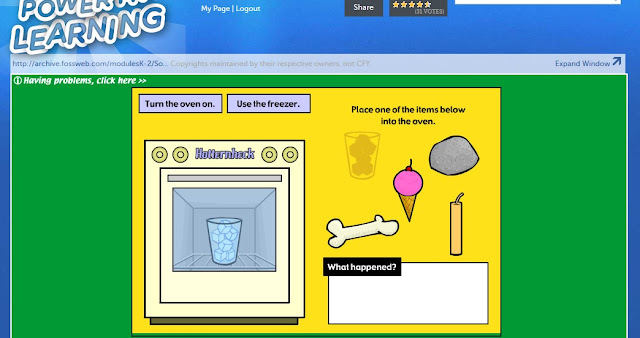 Although we tested only the activities for 2nd grade, activities are available for K-12. Each activity has been rated by actual users. PowerMyLearning.org offers free resources for parents also. The site is available in Spanish. PowerMyLearning.org is the umbrella site. Many of the activities link to a 3rd party site. Where a separate username and password are required. We were creating usernames and passwords too frequently. You can use the same credentials over and over again, but it's too much administrative work for young children. The site seemed slow at times. Although they appeared on the site, some of the games and activities were still in development and could not be utilized. The site is going through changes. New functionality will be released on September 3rd (that's a good thing). We experienced some of the growing pains. We will definitely continue to use PowerMyLearning.org throughout the remainder of the summer and into the school year as well. I envision it to be a great supplement to the regular schoolwork throughout the year. This is a sponsored conversation written by me on behalf of PowerMyLearning.org. All opinions expressed herein are my own.